Sorry I didn't update on my costumes last week. I made shockingly little progress at all the week before. This week was much more productive. 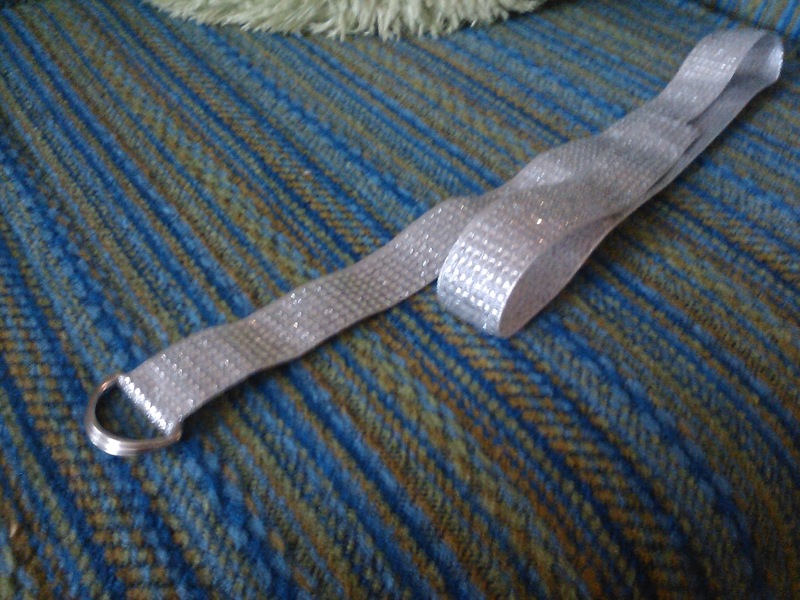 Here is my belt for my Jareth costume. 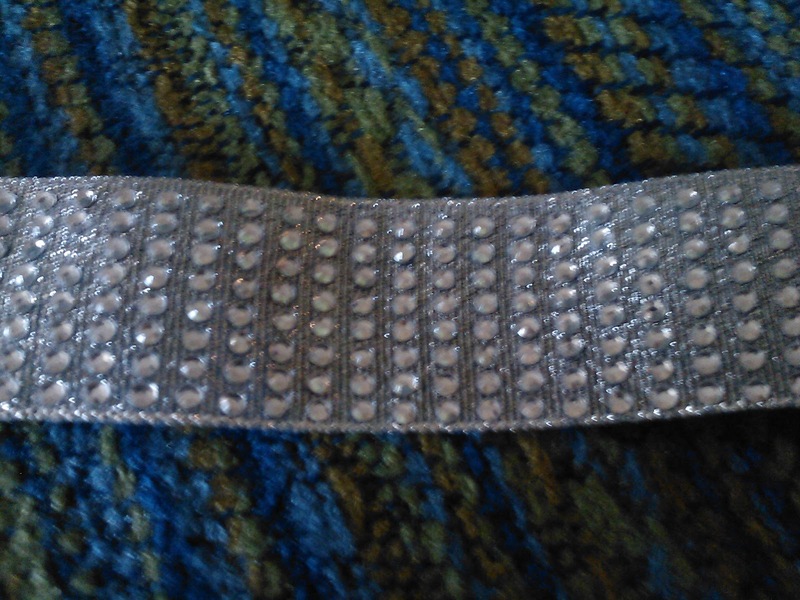 It sparkles. Need I say more? 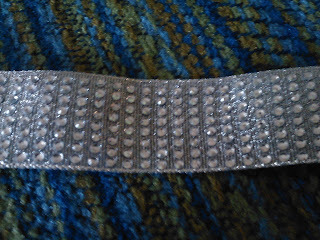 All of these tiny rhinestones don't really like to stay attached so I tried Modge Podge on the backside (so as not to cover the sparklies). We will see if they hold up. And I am almost finished with my Yoko Kurama costume. I just need to make a sash and finish the ears and tail. Oh, and the wig. Guess I need that, too. And find my shoes. Damn. During the course of making this, I had to have my mom come over to help with the fitting. In case you don't know, it can be difficult to fit things to yourself without help. Especially under the arms. I had to interrupt my mom for this and she suggested getting a dress-maker dummy. While this would be a great idea, I don't have a whole lot of money to spend. The cheapest I found one was about 50 dollars, but I'm not sure it was adjustable (which is not a necessary feature, but it would be nice). The others were closer to 100 dollars, and I'm sure more with shipping such large, awkward objects. I haven't actually looked in a store yet, but I'm sure Joann would have something. Then I ran across this link: How to Make Your Own Sewing Dummy on eHow. Brilliant, right? I think it would be fun to try. The most expensive part would probably be the stand. Anyhow, I ran the idea past my mom, and she thinks it would be fun to try. So this might be my next project. Totally psyched. Then I don't need help with fittings! Yay! I will post that when it happens. 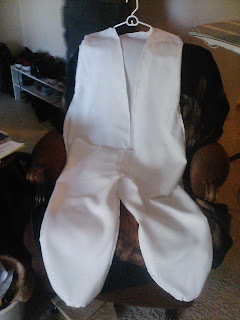 I also started the pants for my Shuiichi Kurama costume, but they weren't far enough along to justify pictures. It's been a while since I have done pants, it took a while to remember how to put them together! The Yoko pants turned out well and the Shuiichi ones are fine so far. They are a little more complex. I also remembered after I finished my Yoko ones that I wanted to put in a pocket... I will make sure my Shuiichi ones have one, but I will have to go back and add one to the Yoko pants... Ugh. Oh, I have also added another costume to my NDK list for this year: Katamari cousin. My friends talked about a group cosplay with someone dressed as the Prince and others dressed as his various cousins from the games. If you have no idea what I am talking about, here is a link: http://en.wikipedia.org/wiki/Katamari_Damacy. The basic premise is that the King of the Universe destroyed the stars (or something) in a drunken fit and his tiny Prince has to roll things up on the Katamari (a big ball which sticks to things smaller than it to grow) and make new stars. It is fun and silly. As you go through the game, you encounter various cousins. And hopefully we will all have Katamari. Hopefully with velcro things to stick on them! Fun fun! More soon.